Following his magnificent recording of J.S. 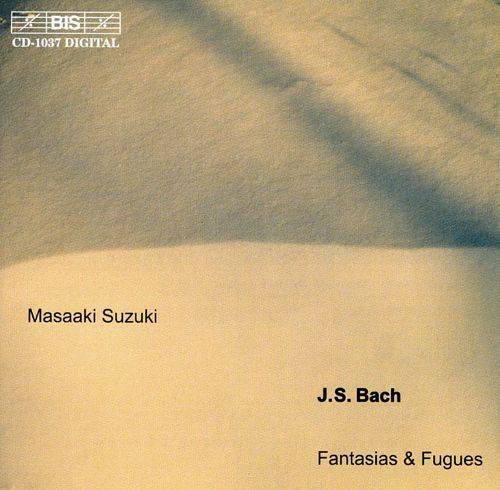 Bach's Inventions and Sinfonias for BIS last year, the Japanese harpsichordist/organist/conductor Masaaki Suzuki here offers more revelatory performances of some of Bach's equally well known (as well as some lesser known) masterpieces. With this collection, simply titled Fantasias & Fugues, Suzuki provides a grand overview of Bach's lifelong sporadic exploration of the Fantasia genre. 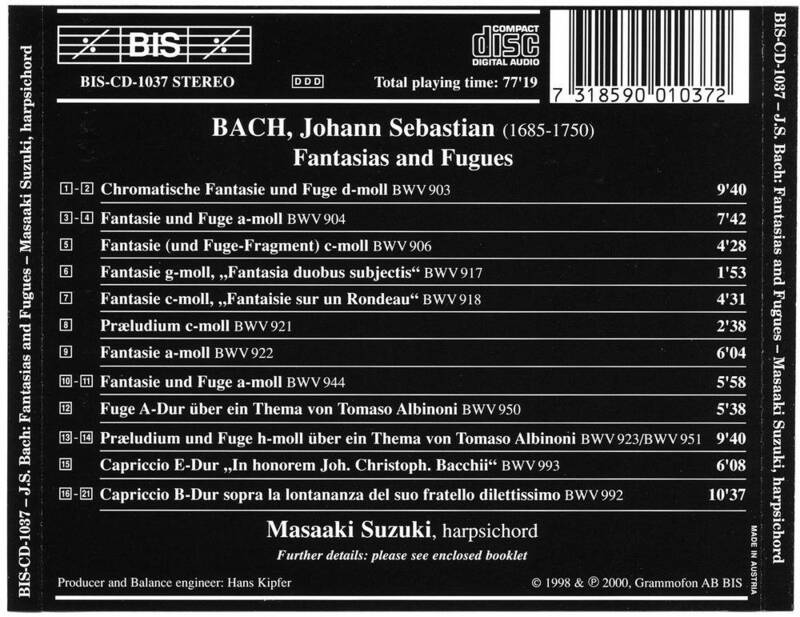 And beginning with Bach's most well known fantasia, the Chromatic Fantasie & Fugue BWV 903, Suzuki launches what promises to be one of the most hauntingly beautiful Bach recitals offered this year. 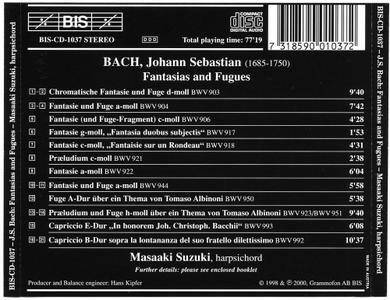 While there is certainly enough competition with BWV 903, Suzuki's performance is on par with the best. His approach is somewhat similar to the spright, lyrical renderings of Pierre Hantai and Blandine Verlet, although the way he propels the work unifies its overall rhythmic composition more convincingly. To get an idea, compare Hantai's total time (11:22) and Verlet's (11:51) with Suzuki's (9:40). Suzuki's sheer bravura here is a marvel! This is certainly not the precious "scholarly" Bach we're accustomed to hearing from Christopher Hogwood and Kenneth Gilbert.